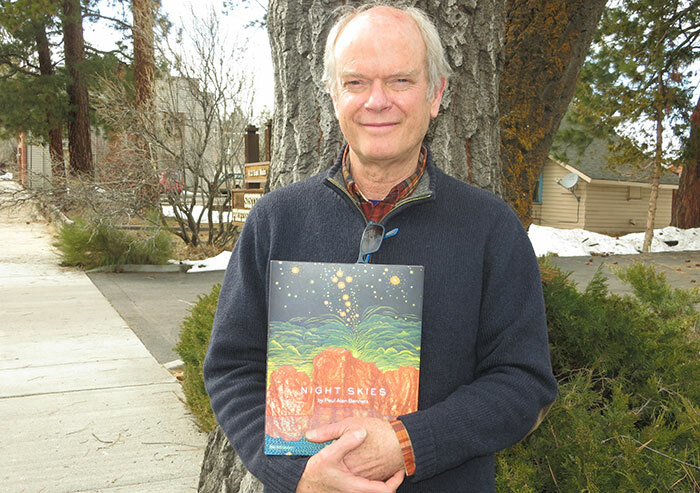 He has combined a lifelong fascination with the night sky — which he has depicted often in his art — and his love for Greek mythology in a new book titled “Night Skies.” The book features 44 paintings with text that feature the night sky. Bennett has had a long relationship with the night sky. Bennett has been painting the night sky for years, some of the paintings inspired by long drives across Central Oregon, with the headlights probing the vault of the heavens. “It’s part of our landscape, just like the mountains, the rivers, the trails,” he said. Greek myth, which Bennett became enamored with during his art studies in Greece as a young man, also play into the narrative of Night Skies. The Greeks threw their mythology into the skies and named the constellations that we know today. “It’s all quite wondrous, I think,” Bennett said. Bennett plans to tour Oregon bookstores in support of Night Skies, — and playing related original songs on his ukulele, yet another of his artistic passions. “Music is such a wonderful way to create that whole other world where anything is possible,” he said. Like music, the night sky can be enjoyed and appreciated without an intricate knowledge of how it is composed. And Bennett urges his fellow Sisters residents to take full advantage of the sky above us. “We live in a planetarium here,” he said. The artist has taken to asking others about their encounters with the night sky — and those stories may well make up the basis for Night Skies, Volume II. Bennett has worked in a variety of media, from paintings to tapestries to wearable art. The venture into publishing was a new trail. “We are all part of this illumination. Use your deeper senses. Join with others. Night Skies is available locally at Bedouin and at Paulina Springs Books. For more information on Paul Alan Bennett and his art, visit https://paulalanbennett.com.